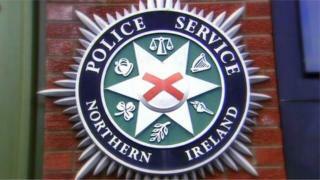 A police officer has been injured after his patrol car was rammed in Carnlough, County Antrim. The incident happened on Friday, at about 01:00 GMT, when the officer was patrolling High Street and the Harbour. He approached a silver 4x4 he found suspicious and drove his unmarked police car in front of it. While he was trying to get out of the vehicle it was rammed and almost pushed into the water. The 4x4 then made off at speed. The officer pursued the car but had to suspend the chase due to the extensive damage that had been caused to the police car. The 4x4 was later found abandoned and has been seized for forensic examination. The injured officer sustained bruising and whiplash but continued with the rest of his shift. Insp Peter Duncan commended the officer for his "bravery and resilience".